Demon Cynster has no desire to be leg shackled to any woman but soon he finds a young woman to be getting under his skin. 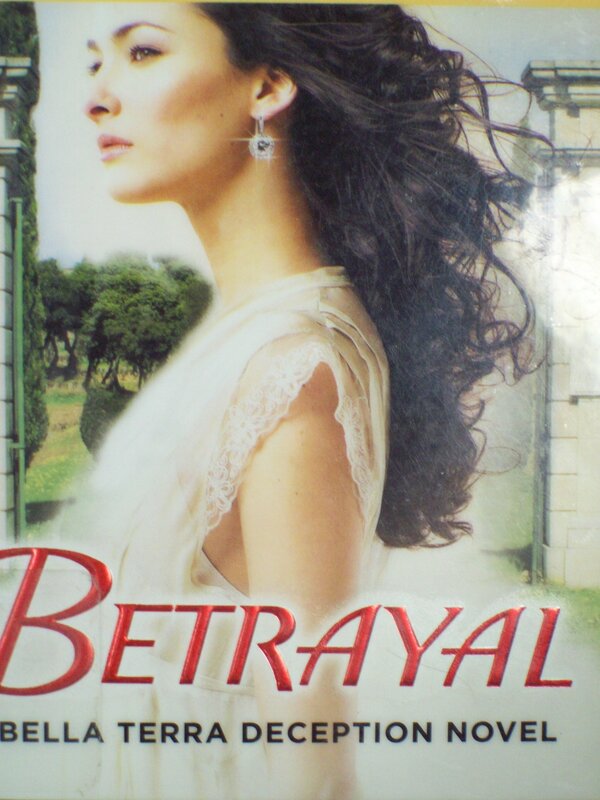 He has promised this young woman Felicity to help her brother but he soon finds something more he wants. He will soon be set on to marrying this girl but has to convince her that he has changed from his old ways. Felicity “Flick” Parteger went out to find help for her brother who is in need. She will go to one person who she knows has the capability to help get her brother out of trouble as he is a notorious rogue. Felicity will see Demon and remember all the feelings that are still there. She will get closer to Demon but when he wants more she will be hesitant knowing all too well of his behavior. The Cynster series is one I want to read and want to like but right now it seems to be for me every other book is good. The first and the third book were fantastic. 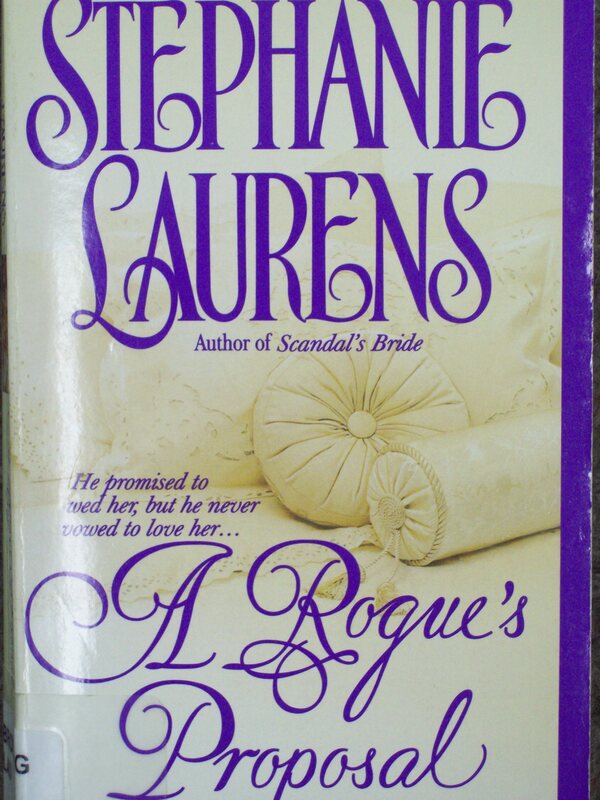 The second did nothing for me and now the fourth, A Rogue’s Proposal. Now in the end I did like this novel but it took me a while to get there. In the beginning I was just not invested in the story. Once the characters were well established into the story it was then that I wanted to finish the story. I know I will still go on with the series because Stephanie Laurens does create well developed characters and I like the concept of the Cynsters as there is that intrigue and mystery following closely to the story. Gabriel Cynster is next with A Secret Love. 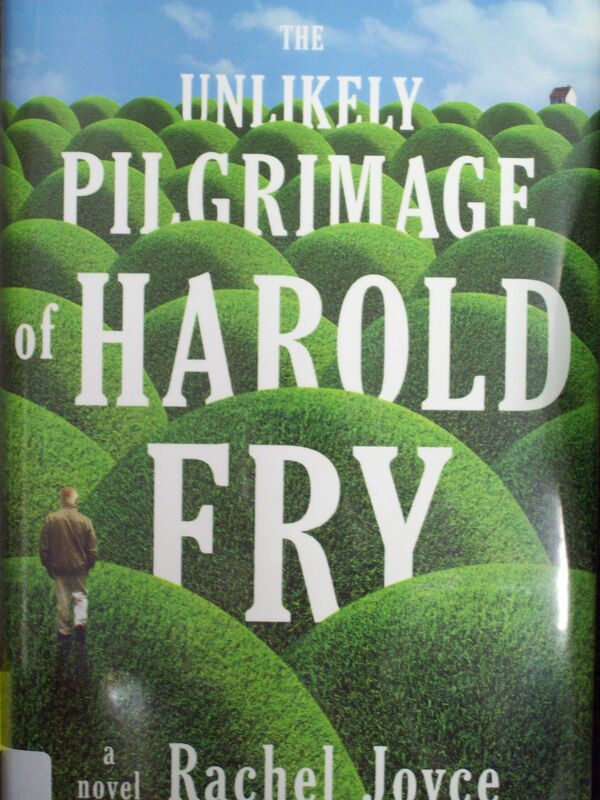 My book club picked The Unlikely Pilgrimage of Harold Fry by Rachel Joyce. From the cover it looked intriguing but probably something I would not have been drawn to pick up. Saying that I found the story very intriguing as I read. For me it reminded me of the story Big Fish in a way with the different characters he meets along the way. The story starts off with a man Harold Fry who is a sixtieth man in a marriage where his wife, Maureen, and him do not connect. One day he gets a letter from an old friend who was in the hospital dying. Harold wants to write her a letter but the moment he goes to mail it he decides to walk to the next mailbox. Soon Harold will find himself walking to see his friend in the hopes that she will hang on until he gets there. As far as the story went Rachel Joyce guided the reader as they went along the journey with Harold as he met knew people along the way and discovered new things about himself. I liked that he was finding his way in the world again. It was sweet that the wife found herself again as her husband was gone. She understood that she loved him, they became stronger and ready to find that love once again. I will saw there is a sadness to the story not only for the friend in the hospital but how life had taken them down this path for so many years. There was a twist with the son David that I did not see coming but in hindsight it made perfect sense. For me the ending gave hope for Harold and Maureen which you needed after that long pilgrimage. 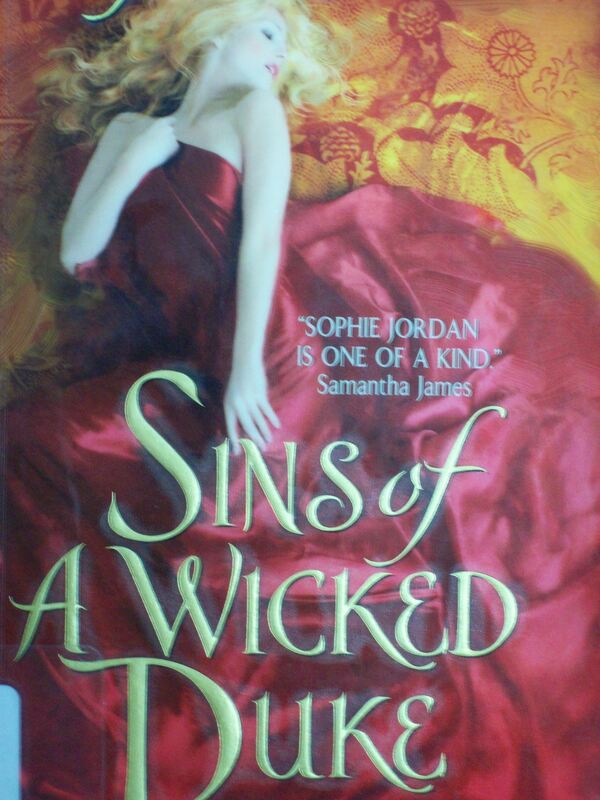 Finishing up the series Penwich School for Virtuous Girls was with Sophie Jordan’s last book Wicked Nights with a Lover. Marguerite Laurent feels like she has been kicked in the gut. She is to die within a year if the fortune teller is right. Marguerite plans to travel and find that passion she longs to have with a lover. She doesn’t expect to be kidnapped and forced to wed by Ash. But with heated kisses she will find herself wanting more even though she knows it will not last. Ash Courtland has been deceived by his partner now he wants revenge. He is going to abduct his partners daughter and marry her. Ash is caught off guard when he finds himself with Marguerite. Ash will soon find that the beauty is getting into his heart as she keeps him on his toes as she runs from him. While reading this book I noticed that the name Marguerite was familiar. She is the half sister to Grier and Cleo who are in another series Forgotten Princesses. Marguerite is fun to read about as she wants to now live life to the fullest but on her terms. She is strong and you hope that the fortune teller is wrong. Ash is corrupt but with Marguerite he will find what he has been missing. I like that he reforms but he still has his rakish ways. Sophie Jordan doesn’t disappoint as this story is as well sizzling with all the passion the two characters carry on throughout the book. What was a little strange was in the book went a little paranormal especially in the end. Technically it was there in the book with the fortune teller but Jordan will give a little twist that will have you more on the paranormal side. Nevertheless the ending of the series was really very good and enjoyable. I had already read the second book of the Penwich School for Virtuous Girls and wanted to read the first to see how all this started. Fallon O’Rourke had lost another post. She knew that her pickings would be slim but thanks to the demon Duke himself she will have another post, but not as a maid. Fallon will turn herself into a footman by chopping her hair and wearing men’s clothing. She finds herself getting away with the disguise but knows it was a mistake to go work for the demon as he is too tempting. Dominic Hale is a demon to most. He takes woman and gives them pleasure but never having one of them touch his heart. A fiery woman on the street that he had picked up is the only one that stirred something inside of him. He looks for her but never to find her not knowing that she resides in his household as the footman. Dominic will discover the farce and soon be tempting this woman with more than her maid duties. Sins of a Wicked Duke was certainly sensual without a doubt and certainly in the right category of romance novels. In the very beginning of the book I like how Sophie Jordan included the prologue to how all the girls meet at the school. You were given more of an insight about these girls and how they were bonded. Jordan creates the character Dominic Hale very well as a demon and he didn’t take it easy on anyone. You wanted to hate him at times, feel sorry for him, then wanted him to find love. Slowly he changed which was suitable as a man like him would not change over night. Fallon was perfect as the scared but brave woman who would do what she needed to stay alive. I liked the little twist for a happy ending that Fallon received. It wasn’t perfect until the very end of the book which Sophie Jordan delivers on. Sins of a Wicked Duke kept me turning the pages until the very end. Can’t wait to finish the series with Marguerite. Grier Hadley is the illegitimate daughter of Jack Hadley and for three years she has now lived with her biological father. Jack wants her married along with her sister Cleo. Grier wants that as well. Marriage to a respectable gentleman would give her a home and a future. Grier though will find herself in the Prince’s eyesight. She finds him annoying but his eyes and his touch sends shivers down her spine. She knows that she can never be queen but to feel passion Grier will make a choice. Prince Sevastian Maksimi is in need of a wife of good standing and a large dowry. There is no love required as he is only finding a bride to make his grandfather who is sick happy. Sevestain will find one who makes his blood boil but she is not one for marriage because of her illegitimate status. Sevestain though will try to convince her to become his mistress and will succeed but feelings will start to get in the way. Loved this story. Wicked in Your Arms was a story that pulled me in at the very beginning and only got better. This is the first book to the series Forgotten Princesses from Sophie Jordan. She engrosses you into the story until the very end. Now the plot of a Prince coming to love a woman of lower status is not the most likely thing to happen but that is why this is a romance novel. I really liked that Jordan made Grier to be strong in her own way and practical. She wasn’t going to throw caution to the wind with a man who offered to make her his mistress, at least not right away. Sevastian is your average prince but throughout the story he changes and his own feelings come to the forefront and you see a new prince altogether. Jordan keeps the characters interesting as through the majority of the book there are nothing but kisses, teasing and fighting feelings to entice the reader to keep going. Also there is a hidden villain. You have the normal society who are cruel to those weaker or with a scandal attached to their name but there will be a villain you don’t see coming. Well if I thought about it yes you could have guessed but I was very much into the story. Cleo Hadley will be next to marry to abide her fathers wishes in Lessons From a Scandalous Bride. After catching up to the whole series it wasn’t long until another book had been added to this ever growing Argeneau Family. 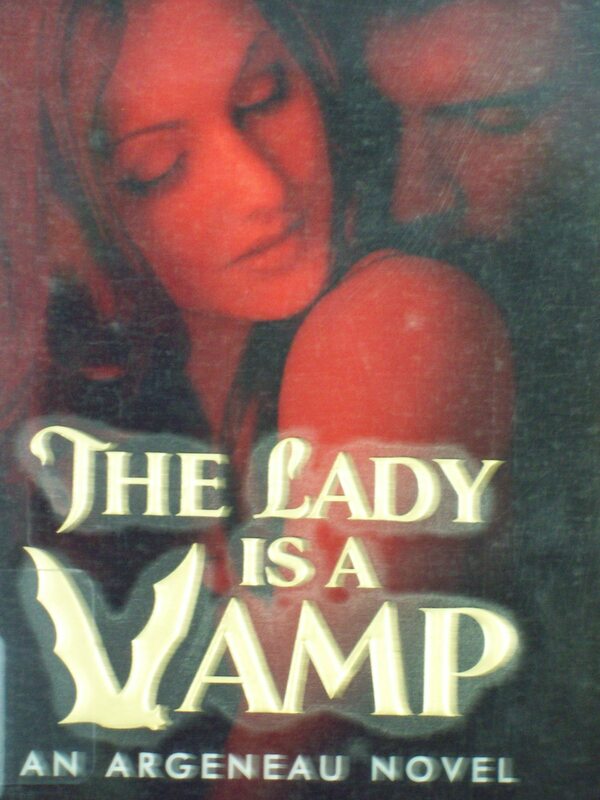 The Lady is a Vamp is the seventeenth book. Jeanne Louise Argeneau works for her family in research and development and likes her work but lately things have been off. Her taste of food is leaving her which depresses her and now she is being kidnapped. It doesn’t take Jeanne long to figure out why this man would do it. Jeanne will though finding herself helping especially as she find that this man is her lifemate. She will construct a plan to keep them a family but nothing ever goes as planned. Paul Jones is in need of help from a vampire. As he works for them its easy to find one but has to choose the right one. He struggles with his kidnapping of Jeanne but ultimately its his daughter who needs this. Paul will grab Jeanne for his daughter but he will soon find that he wants her for more. The Lady is a Vamp for me had me thinking about the first book of the series as a person is kidnapped and needs that particular person for help. Of course this time roles are reversed. As usual I start Lynsay Sands book and end up loving it as her characters are witty and quirky like most of her plots. It reads very quickly and there is a heartwarming side to the book especially with the little girl and her situation. Now Lynsay Sands will have a happy ending like all the others but she throws in a twist at the end having you yelling at the book. You will want to throw the book down but the upside is you are greeted to a little family reunion and the situation will definitely make you laugh at what they do. I was certainly happy that Jeanne Louise finally got her own book as she was talked about but there was something I didn’t understand. Justin who has been in the series has never found a lifemate for himself. In this book he can’t read the little girl, thought it was due to her tumor but afterwards could he? It would be interesting if she were to be his lifemate but that part was just unclear. I suppose I will just have to wait and find out.